As you can see the blog has gotten a makeover! Explore and Enjoy! I hope everyone is well and enjoying the summer or should I say #Simsummer because this is a Sims blog after all. 🙂 I have some updates and news, first The Prospero Family game play is completely caught up with the blog! There have been some big changes to their life with the complete tear down and rebuild of their house and I am sure that there are many more surprises in their future. Recently I have created the #BuildNewcrest Legacy Challenge, and it has received good feedback on The Sims Forum. I am recording a Let’s Play series about this Legacy Challenge on Youtube and I encourage everyone to subscribe to my channel and watch them. I also encourage anyone who wants to try to play along with me while I play to check out the challenge page and the videos as well. I also won a house building contest at The Sims Forum, building a house for Mommatauras2’s family, the Wilder’s, follow her for updates on their new house. You can also live at The Wilder’s Retreat by downloading the house from the Gallery. I Won a House Building Competition! Some fun news here from TheSims.com Forum, a user on there, Mommataurus2 requested the community build houses with a few restrictions for one of her families to live in. There were quite a few entries and in the end, I was amazed to find out that she choose my build for her family! I am so pleased and excited about this I just had to share, I will say that the other builds that people posted were really incredible and very different from what I create. It was very inspiring to see everyone’s take on the family’s needs and wants in their new home.Of course I can’t post without showing pictures of the winning house! 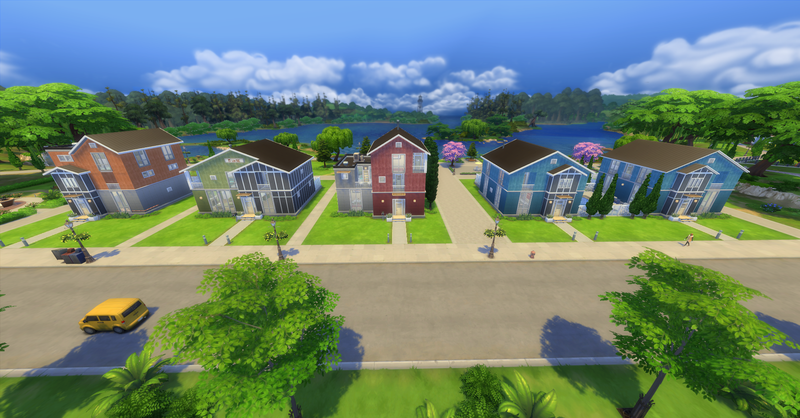 You can download The Wilder’s Retreat from my Gallery. As I promised a few days ago, I have a complete world of Newcrest for you to download for your sims, of course none of my lots contain any mods or custom content! Please read the FAQ before downloading, click on the lot name to download. Happy Simming! There are three very different neighborhoods in world of Newcrest if have created, Aqueduct Place, The Industrial District and Creekside Estates. 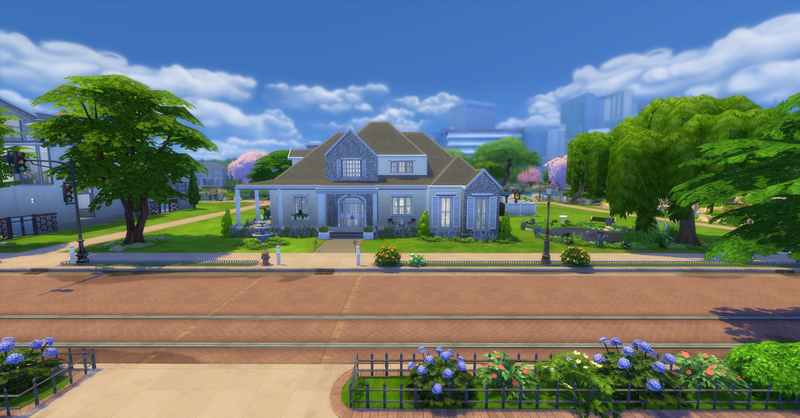 Aqueduct Place is the affordable neighborhood in Newcrest, with the most expensive house costing less than §55,000 simoleons. The Industrial District is the middle class neighborhood in Newcrest, the homes range from under §100,000 – §130,000. Creekside Estates is the most exclusive and expensive neighborhood in Newcrest and the mansions here can cost half a million simoleons! The affordable neighborhood in Newcrest named after the canal that runs around the area, this neighborhood features Craftsman styling and a family environment. There is also a local park here with a playground and many other amenities for your sims to enjoy. As I promised I have new lots built in advance of the release of Newcrest. Also Sims VIP started a hash tag, #BuildNewcrest, for the gallery to search for Newcrest lots and I will be using it for all my Newcrest builds as well. These lots are inspired by some abandoned warehouses in Petaluma, a town near me, that were converted into apartments. Welcome to the Industrial District, once abandoned warehouses are now converted into housing suitable for populated sim living. This district was created for Neighborhood #3 in Newcrest, see picture below for lot locations. Chick the Lot Names to download them from the Gallery or search Origin ID Love_Wasaabi.